It is hard to disagree that choosing a nice and affordable mattress might be a challenging task, as finding the golden mean is never easy. 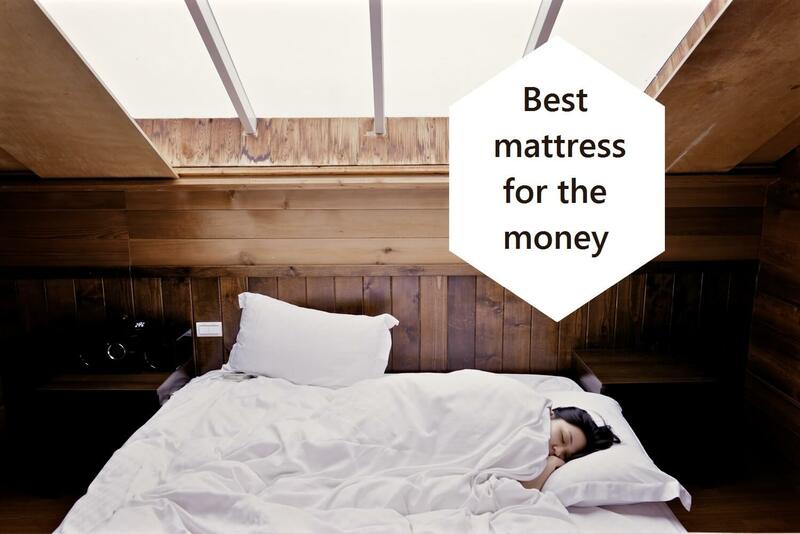 You can actually choose the best mattress for the money. It only takes some effort to research the options. And this is exactly what I did. Now, let me share the top 6 best budget mattresses I have found, and we’ll see which one suits your needs better. The most important thing you should check when choosing a mattress is the presence of both memory and high-density foam layers. Only the combination of these two makes the mattress comfortable and cozy. The first mattress on our list, which has the right to be called the best affordable mattress, is Memoir by Signature Sleep. This one is a proof that simplicity can be the key to your comfort. Why is it so? Let’s find out. The 8.5” layer of solid high-density foam, which makes sure your back is supported nicely. The 3.5” layer of comfortable memory foam, free of any harsh chemicals and harmful materials. The knit fabric cover, breathable and soft to the touch. The absolute best thing about this mattress is the level of support it provides. It doesn’t feel like a hardwood floor or concrete, yet keeps the spine properly aligned. After just a couple of nights on this mattress, I got rid of my constant neck pain, which only proves that this mattress is able to support your body properly. The worst thing about the Memoir mattress is that it takes forever to decompress. I mean, we all know that foam mattresses, which are delivered vacuum sealed, cannot be used right away and require some time to take proper shape. Well, Memoir made me wait for 5 days. And I’m not still sure it’s 100% decompressed. Now, Memoir doesn’t have all of those fancy extras and luxurious details. However, it has the potential to become the best affordable mattress you’ve ever owned. It is supportive, bouncy, and soft enough to provide you with a good night’s sleep. Another option I would like to introduce is Green Tea by Zinus. It can be called the best mattress for the money for a number of reasons. I mean, have you ever seen a mattress with the actual green tea extract infused in the top layer? The 3.5” high-density Airflow base support layer. The additional 3.5” Airflow high-density foam layer. The 2” comfort foam layer. The 3” memory foam top layer. The best thing about this mattress is how bouncy and supportive it is. Despite being a 100% foam mattress, it doesn’t envelop around your body and allows you to actually sleep on it. It has that soft foam feel, but thanks to the two high-density layers at the bottom, it’s still able to support your body. The biggest issue I had to face with this mattress is the time it takes to decompress. I had to wait for 6 days before I could actually use it. And it gets worse: two corners didn’t fully decompress. Of course, it might be a temporary problem, and maybe the corners just require more time to inflate. Still, this is certainly an issue to consider. Overall, the Green Tea mattress by Zinus is a nice choice for those who want to sleep comfortably. It is suitable for different sleeping positions, bouncy, and supportive. It has the potential to become the best budget mattress for you, which will allow you to do both: save some money and sleep peacefully every night. The Hybrid Mattress by LinenSpa is another option that can be considered the best mattress for the money. Moreover, it’s not just a simple foam mattress. This model is a hybrid, which combines great support levels and excellent pressure relief properties. The 6.5” supportive innerspring base layer. The 1.5” top memory foam layer. The quilted memory foam cover. Innersprings have been used in mattresses for a long time now. If the material is good enough, such a mattress will remain comfortable for dozens of years. The coolest thing about this mattress is how supportive and sturdy it is. Thanks to the coil base layer, this mattress is able to support pretty much any weight. Of course, it’s because this model is a bit firmer than the memory foam everyone’s so used to, but this firmness is balanced out by the top foam layer. What might prevent this model from becoming the absolute best budget mattress is its firmness. Some people prefer to sleep on softer mattresses, so this one might seem like a rock to them (especially those who are a bit heavier, as they will sink deeper through the foam layer). Overall, the Hybrid Mattress by LinenSpa is a great choice, especially if you appreciate excellent support and bouncy feel. The simple combination of memory foam and innerspring makes sleeping on this mattress surprisingly pleasant. Olee Sleep has something interesting to offer. Their 10-inch mattress has a gel infused layer, which helps your body control its temperature at night, providing a restful and comfortable sleep. The 1” high-density base layer. The 1” cooling gel layer. The 1” 8 ILD soft memory foam layer. The best thing about this mattress is the incorporated gel material. It not only lets you sleep cool but also provides some additional bounce, which only adds to the supportive qualities of the mattress. Even though this mattress has three different layers, each of them is too thin. The remaining 7 inches are just regular foam, which means you might not feel enough back support, especially if you’re a heavier sleeper. In general, the mattress by Olee Sleep is an interesting option. It’s not suitable for everyone, but if you are an average sleeper who hates sleeping hot, this mattress will be a great option for you. When the body temperature does not change overnight, you can sleep calmly. This model by Best Price Mattress is another worthy contestant. 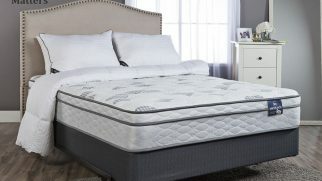 Even its name says that it can be the best mattress for the money, which will help you improve the quality of your sleep. The 5” high-density foam layer. The 2” Super Soft Foam layer. The 3” top memory foam. The best thing about this mattress is the overall comfort it provides. Let me just tell you: no matter what sleeping position is your favorite, you will be comfortable lying on this mattress. It is medium firm and supports the body properly, allowing the pressure points sink deeper into the foam, allowing them to relax completely. The worst thing about this mattress is that it might be too soft for some sleepers. Because it’s the 100% foam model, which is also closer to the soft on the firmness scale, heavier sleepers might sink in too deep. Also, if you prefer sleeping on hard surfaces, this mattress might disappoint you. In general, I was satisfied with this mattress and my experience sleeping on it. It pleasantly contours the body, feels soft enough for all sleeping positions and offers enough firmness to properly support your body. 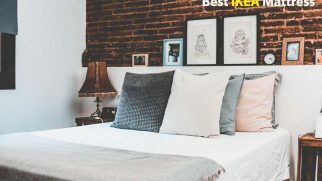 The last candidate to be called the best mattress for the money is the Classic model by Live and Sleep. It has a plush feel and allows you to sleep on it in multiple positions without feeling uncomfortable. The 7.5” high-density support base. The 2.5” Premium Memory Foam comfort layer. What can make you fall in love with this mattress is the comfort levels it is able to provide. After spending a few nights on it, I can surely say that this model is suitable for all: back, stomach, side sleepers, and people who love to lie like a starfish. The worst thing about this mattress is that it might be too soft for some users, especially the heavier ones. Because it’s made of 100% foam and offers the medium-firm support, some people might sink in too deep. There’s no mattress suitable for everyone. It takes time to find the best one for your personal needs, so don’t rush into things and choose wisely. I won’t deny: I really enjoyed sleeping on this mattress. It is supportive and plush at the same time, suitable for multiple sleeping positions. It deserves to be called the best mattress for the money. We all understand that a cheap mattress won’t have that luxurious feel and other extra perks. Still, it doesn’t mean that it will be unbearably uncomfortable. But what do you do when your budget mattress is simply decent? Not great, not terrible, just average? There’s one helpful tip you can try before returning the mattress. Consider investing in a good mattress topper. The thing about mattress toppers is they aren’t too expensive but can drastically improve your sleeping experience. If your mattress is too soft, get a firm topper. If you hate sleeping hot, there are tons of gel infused toppers, which will allow you to sleep cool. If you hate your mattress because it’s too firm, a nice foam topper might save the day. It’s not a panacea, but at least it can give you a chance to upgrade your mattress and improve your sleep quality. Let me assure you: it is possible to find a good mattress providing great value. And the best one, in my opinion, is Classic by Live and Sleep. It is great for multiple sleeping positions, supportive, and very soft to the touch. However, you are going to love it if you prefer softer mattresses. If you want your mattress to be a bit firmer, Hybrid by LinenSpa will be a perfect option for you. It is extra bouncy and supportive, which will be enough to make you fall in love with it. There are so many mattresses out on the market it’s hard to know what’s the best one. I’ve learned that just because it’s more expensive, doesn’t mean it’s the best. I’ve also learned a lot of the cheap ones are nice, but have a shorter lifespan. So it can be tricky to find the right balance and the right mattress.